Is the brave new world of forklifts upon us? 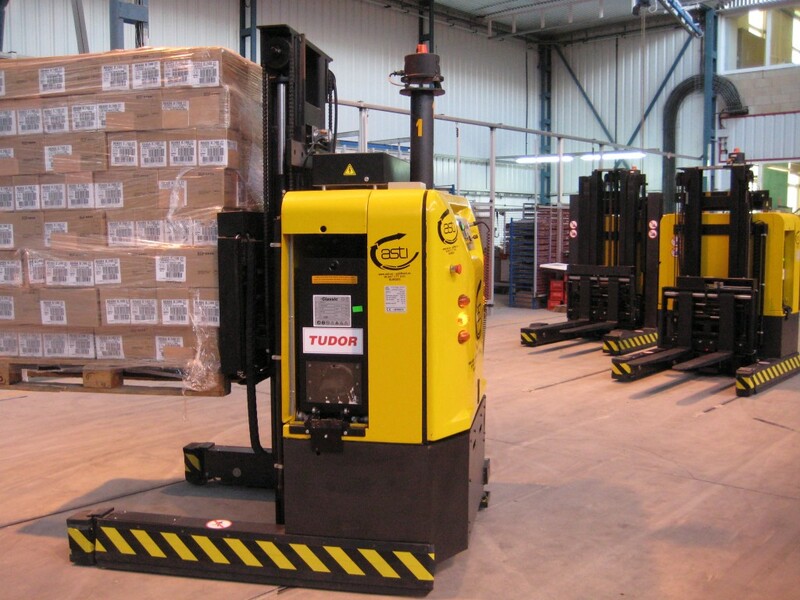 Are the days of human-controlled forklifts numbered? To put it in more purely economic terms, will there be any forklift jobs left once the robots take over? OK, let’s answer those three questions in order: sort of, not really and absolutely yes. It’s not hard to find some industrial workplaces with fully automated forklift systems. This one, for example, appears eerily functional: deliberate movement, orderly loading & unloading, and not a single human being in sight. And for a forklift driver – either a veteran operator or first-year job candidate – that can be a bit troubling. You may not believe it, but Automated Guided Vehicles (AGVs) have been around since the Eisenhower administration. In 1953, the very first AGVs appeared, and were primarily used in grocery warehouses. The technology used to control the AGVs grew slowly & surely over the years, and by the turn of the millennium, there are thousands of AGVs all over America, mostly utilized for pallet cargo in warehouses and other manufacturing environments. The big draw for companies considering AGVs is decreased operating costs; by one manufacturer estimate, automatic lifts & trucks can help reduce expenses by 30 – 40%. Here’s the cool thing about us humans: we’re sort of needed to run stuff. To make stuff happen. To get things done. Plus, who’s going to repair these AGVs when they need maintenance? So, those dire predictions about fully automated warehouses are a bit far-fetched, for now. How can we say this with certainty? As with most issues, follow the money. There’s still about a $30,000 per-year gap in cost between an AGV ($80,000) and the salary of an average material handler in the U.S. (around $50,000). So, if you’re a forklift driver, pallet jack operator or other industrial cargo worker, stop worrying. For our blog post 100 years from now, in 2115, things might be different. But for the time being, we’re not going anywhere. AGVs, regular forklifts, the new hybrid electric models – for proper safety and OSHA compliance, nobody beats ForkliftCertification.com. We’ll help your safety program with a variety of affordable and effective training modules for everyone in your company. Don’t delay in getting started. The best time to get OSHA training was yesterday. Our forklift safety consultants are available at (888) 278-8896, or check out the FLC contact page for more information. Thanks for reading our blog!